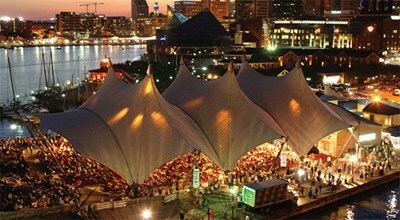 Bask in gorgeous views of Baltimore's Inner Harbor while enjoying concerts from some of the top names in the music industry. Pier Six Concert Pavilion was Pretty Good! Attended a Dying Breed and some other bands for a benefit and the pavilion was welcoming and clean! Lighting and sound was very good for an outdoor pavilion.